TGIF friends! We had one of those long-short weeks. Know what we mean? Like it flew right by, but also took forever??? At any rate, we glad it’s done! Outdoor spaces need not be all about the braai! They have become a natural extension of your home, and thus should be treated decor-wise as one! We have a few tips to share with you next week on this topic; but for now, we couldn’t resist sharing with you these amazing outdoor rugs! Yes, you read this right! These gorgeous loop pile patterned (right on trend!) rugs are fully compatible to the outdoors, light resistant and can be hosed down to clean. 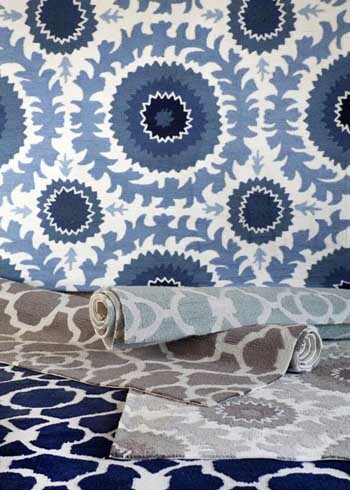 They are available in a Suzani and Trellis pattern in tones of fresh blues, greys and a hint of duck egg. 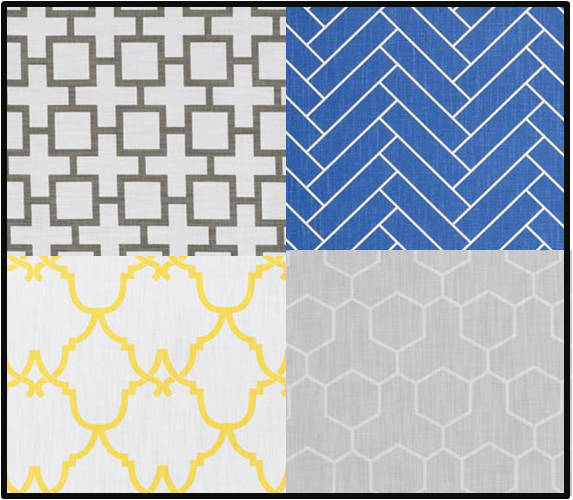 StylEAST is selling these rugs, so please contact us for more information on sizes and prices. While we the mood for all things outdoorsy, we cant help dreaming of white sandy beaches! Check out Song Saa Private Island. Need we say more? TGIF! What a week is has been! IOS7. Carina is a little Apple obsessed, so imagine her excitement when the new operating system came out this week! We love the new interface and look. October desktop – feel free to download it and use it too! Happy Friday! Hope you all have a great (loooong) weekend! 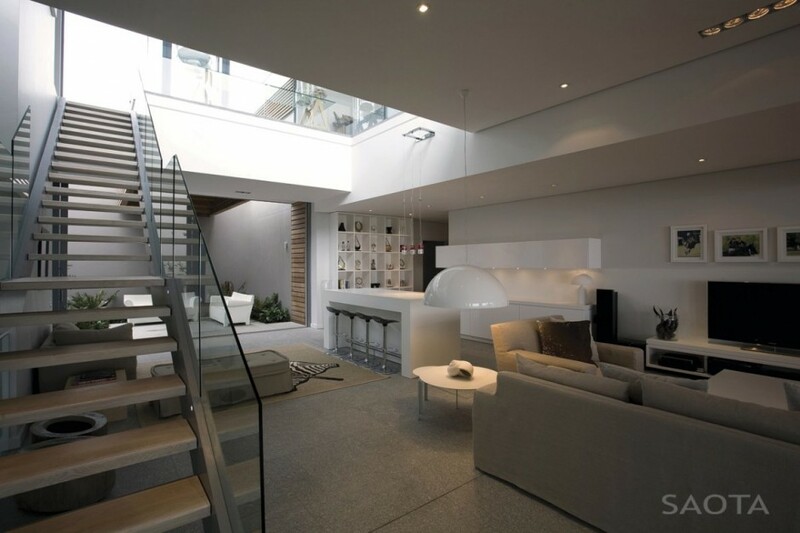 We can’t stress enough how important lighting is, and what it can do to transform a space. Today, we would like to give you a few tips on how to decorate with pendants. They are one of those components that us designers use to highlight, illuminate, create separation between rooms…it is a tool we use time and time again. Over kitchen islands, dining tables, coffee tables in the centre of the room, everywhere in fact! We have major issues with lighting – the incorrect kind! Just ask any of my old digsmates from our London Town days! I couldn’t cope with the laboratory-like lighting in our lounge. It was so harsh and sterile, and really created an uninviting environment to hang out in. The same can be said for lighting too dim; if you wanting to create a romantic atmosphere, that’s what candles are for! Carina is so obsessed with creating the perfect “ambiance” that she spends hours switching different lights on and off in her house. So yes, lighting is something we are intrinsically aware off! 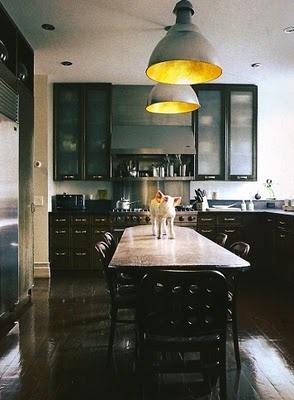 One of our pet peeves is kitchen lighting, it is often so neglected when it comes to cool lighting. Any kitchen with an island looks amazing with a central pendant or row of them because it draws attention to the whole area. If you fancy giving your kitchen a quick update then do nothing more than adding a pendant, you will be amazed at how transformative it is. Pendants are not just for contemporary homes. 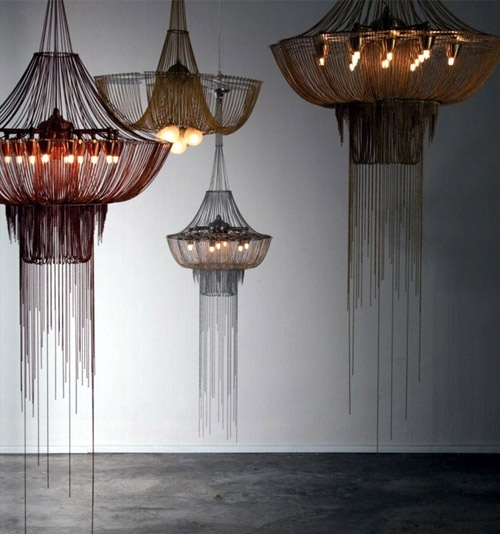 If your home is more classical, take it one step further and go down the chandelier-ish route. Here at StylEAST we are big fans of the industrial pendant look, those juxtaposed against slick kitchen cabinetry really pops! The same goes for dining tables : Stick a pendant above and that area immediately becomes more distinct and a feature. Dimmers are crucial here so you can set the mood! (and disguise unappetising food in the shadows!) We love using pendants over bedside pedestals. They really frame a bed and make a feature out of it, and if you have a nice ceiling height in your room, it really enhances it. Pendants don’t just have to go in the centre of rooms. Over a console in the corner works equally as well as you can highlight and illuminate whatever is on it. Over a conversational area as well – the possibilities are endless! Pendants also look fabulous in a double volume area, as it really defines the space. Here you can have some fun and do a cluster, or else go large and do something really dramatic. 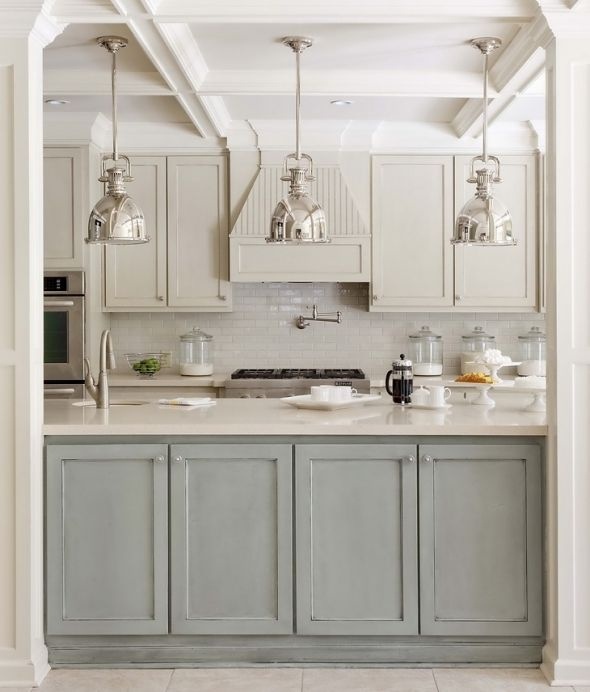 In an open plan area, pendants can be your biggest tool in breaking up a space and defining different areas. There are so many pendants available out there. 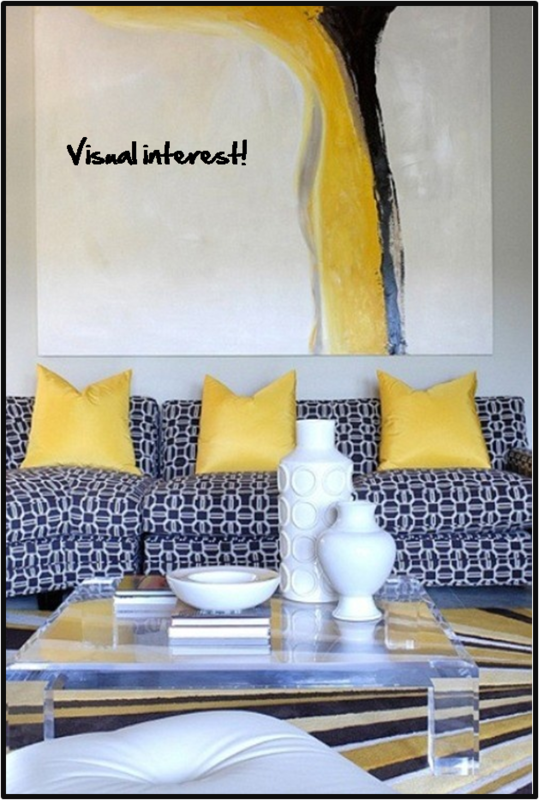 play with texture, it accentuates the feature and again, adds some interest to your space. It’s not all about glass, crystal and metal. Think beads, turned timber, leather thongs and ceramics. 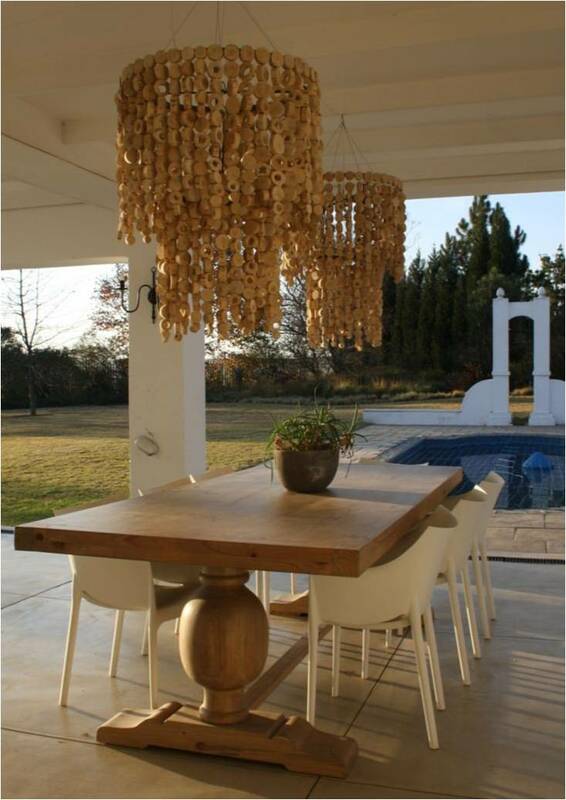 Willowlamp is a proudly South African company that designs and makes gorgeous pendant light fittings made from bath plugs chains! 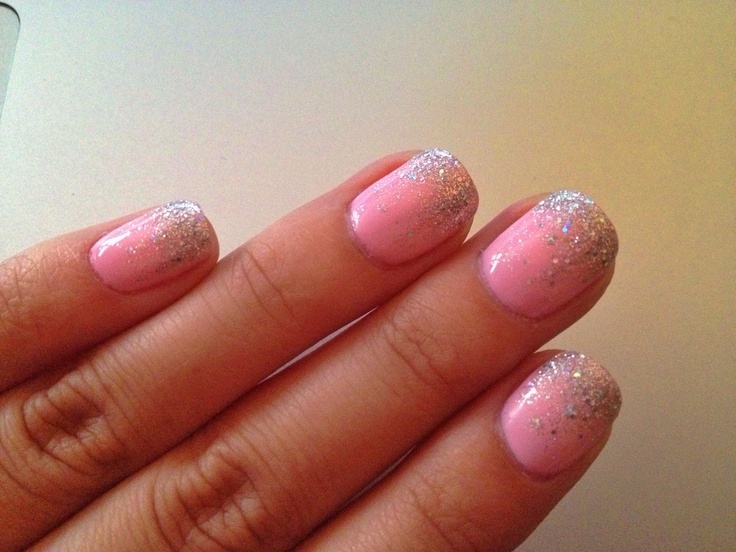 They very high up on our covet list here at Styleast HQ! So there you are – decorating with pendants, game changers they are! PS. Some more inspiring pictures below! Often trends from the runway make their way into homeware stores and ultimately our living rooms. 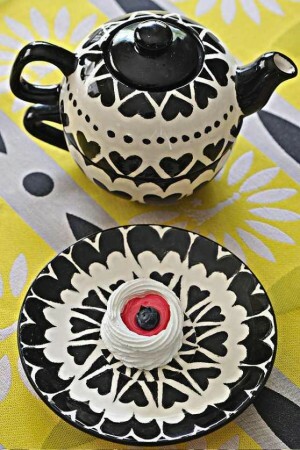 One of the hot-to-trot fashion trends for Spring this year is pattern and prints, so we have a few ideas on how you can translate that into your home. Rooms without patterns generally feel shallow and a little one-dimensional (Read : boooooring!) Pattern, whether visual or textural, adds an instant welcoming vibe and altho we designers;(so its second nature to us) we get that pattern seems a bit scary and sends most for the Minimalistic Hills! But fear not, as once you get this low-down you’ll be fine! 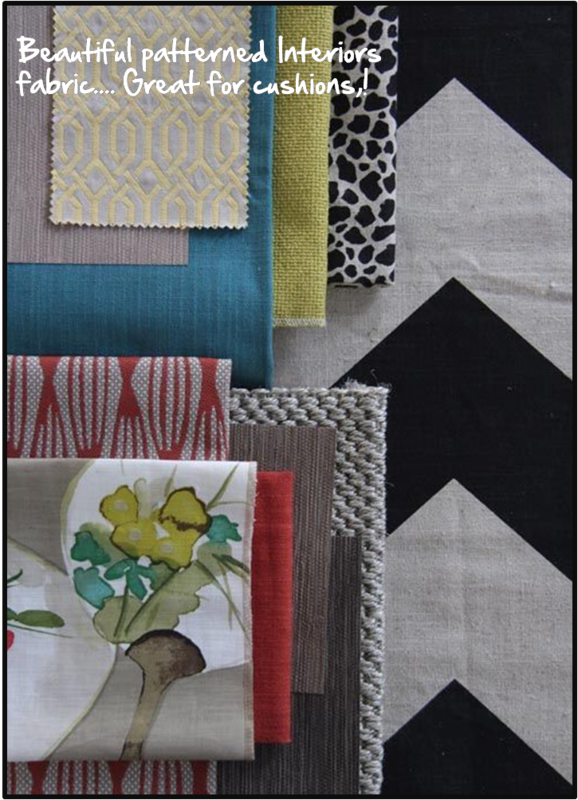 If you are really adventurous, mixing different patterns creates a very visual and interesting interior space. Before you go all Jersey-liscious here, we would recommend that you pick a colour and stick to various patterns or prints within that hue, or colours that are complimentary to each other. 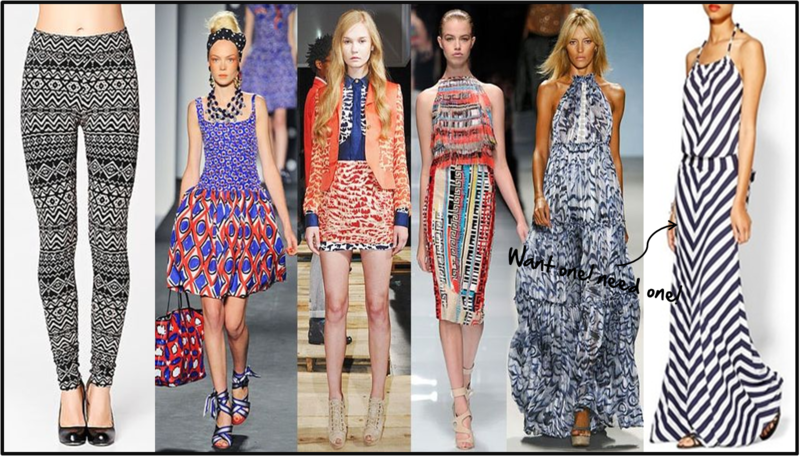 Remember patterns need not be bright; playing with patterns and prints within a neutral colour palette can look extremely classy and elegant. Vary the scale. Its not so much that you have to worry if some small scale motif goes with something large; its more about making sure not everything is the same. Trade tip no 1: Its all about the CONTRAST! 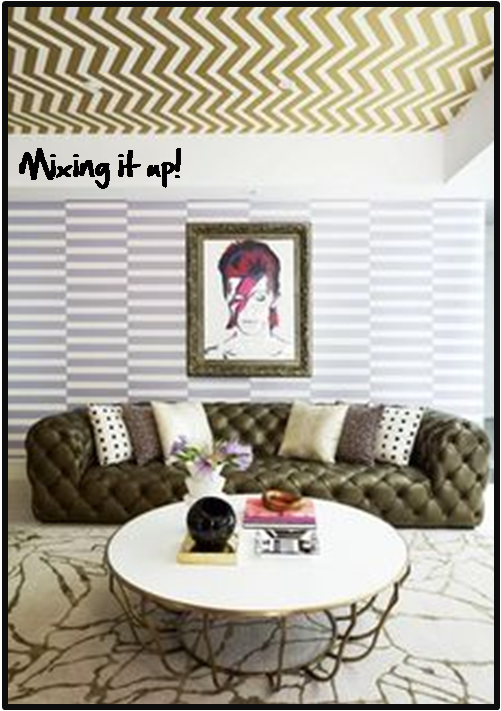 Lots of small-scale patterns in a room can become a kaleidoscopic disaster, so you want to mix it up a tad. Also the more you mix, the more you add detail/confuse the eye (exactly our plan) and your interior becomes more intriguing! High five!! But I am very proud and thrilled to announce (drumroll please! )that StylEAST has grown up and expanded! It is not just a blog, but now a super duper interior design consultancy firm! And we do furniture too! Furthermore, StylEAST is not just me on my own, but I now have a very talented partner-in-crime ready to take on the world, one-house-office-shop-restaurant-guest house at a time!! 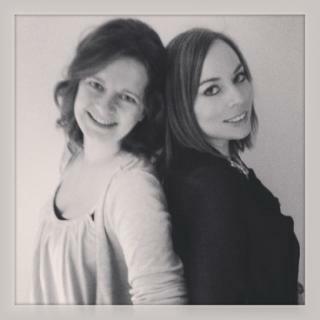 So let me introduce you to Carina, my very capable and talented co-owner of StylEAST! We go a long way back to the vinyl halls of university (our hair looked alot different back then!) A lot of late nights working, crazy project deadlines and the usual student fun- and-games along the way, we both landed up across the pond in London, trying to make our international designer dreams come true! Carina spent 3 years getting to grips with the London weather, and interesting terraced houses, before deciding to come home to her native East London. After a few years apart (After London, I was forging my career in Port Elizabeth and then Jozi!) fate would have it that I moved to little-ol’ East London. So this is StylEAST! This is the exciting news we have been waiting to share! Please do keep reading our blog, we will be sure to keep you updated with our plans as we go along, share what inspires us, give away some trade tips, not to mention share with you the amazing projects we get to make realities! We are also going to be having a very cool feature called “at home with…” where we will be showcasing some very stylish locals and the amazing homes they stay in! We are extremely passionate about the city we live in, and will continue to showcase all the very cool things happening locally too! My lounge wall, black as night, it’s a super dark dramatic blue, makes any seasonal favourite colors pop! When I’m big I want to be wonderful like the Wunders crowd… I’ve just turned 30 so I’ll be big in a year! 3. Favourite thing to do on a Sunday? Playing Pinterest on my iPad and catching up with my friends on The Vampire Diaries. I don’t like to leave the house after 12 on a Sunday, I just don’t. I love East London summers! Born and bred Border beach baby! Earphones, Gareth Cliff’s “Book on Everything” (which has been gathering dust for 3 months), too many bobby pins (no wonder I can never find any!) and a cold cup of coffee! 7. What do you like collecting? Jars for my wedding. In fact if anybody wants to contribute to my collection, please email me! I am very proudly South African, and think we are living in such an exciting design time in our country. I think the furniture that Haldane Martin has designed has become iconic, and pioneered the way forward for other young designers in our country. I’m also a huge fan of Okha, Tonic and Egg Design. 3. If I wasn’t an interior designer I’d be a ….. designer? Couldn’t and wouldn’t want to be anything else! New York! It has been on my list of places-i-gotta-see-soon for as long as I can remember! It classifies as a business trip as I know it will inspire my soul! 5. Why do you prefer EL to Jhb? I guess I am a foodie! I am obsessed with cooking, recipe books, reality cooking-tv, (eating yummy things!) and kitchen gadgets! Stripes. Can’t buy enough of them! Especially black-and-white ones! Its a problem. Just come and look in my closet!